21-24th May,2014, assist Mukesh from India who is professional in Ceramic products to visit the ceramic exhibition in Pazhou. He searched products which he need and I checked the details of products and suppliers. For his big quantity. we find several factories which offer the goods he need, and go to factories to check the condition of them. 6-10th May,2014, assist dragan from Australia who run the business of kitchen ware to visit suppliers. He found several suppliers by himself over the network. When I meet him and checked the supplier, most of them are trading company and from different city:foshan,zhongshan,shunde and Guangzhou. I asked which products are most important for him to search the supplier. He said quartz stone,stone cutting machine,kitchen parts and spray booth. For quartz stone and stone cutting machine market in another city, I introduce a driver who is familiar with that area and market. Other supplier I found factories which near Guangzhou and under his target price. At least,he find all factories which can offer the goods he need in a short time , a little transport fee and good price. 23-27TH April,2014, assist mohammed from Kuwait who need search the market of glass arts in the canton fair. He accept all the catalogue which salesperson offer him at the begining.by the experience, I advice him to only take the catalogue which products really fit his market and take a businesscard which he think is good. So he does not need to waste time to throw away the useless catalogue. •	4-20th April,2014, follow one 40HQ for hussam from South Africa, there are furniture items like sofa, bar chairs, bed, imitate tree, outdoor furniture,oil painting,light, mirrors,wallpaper and carpet. I check all the details of the goods before shipment and arrange the custom document to the customer after the cargo on the way to Durban port. 25-29th March 2014, assist jutto from Germany to check the fabric market and jewellery package factory.She does business in yiwu for many years. Then she want to find some high quality and low price fabric in Guangzhou, but his quantity very small about fabric of tablecloth. Finally she only take some samples back. Luckily we found a big package factory which can accept her small quantity of various design. 13-19th,March 2014, assist hussam to furniture market to choose the goods to decorate his hotel. We went to the market everyday to check the items and price and delivery time.After several days search, he find many items that he need. 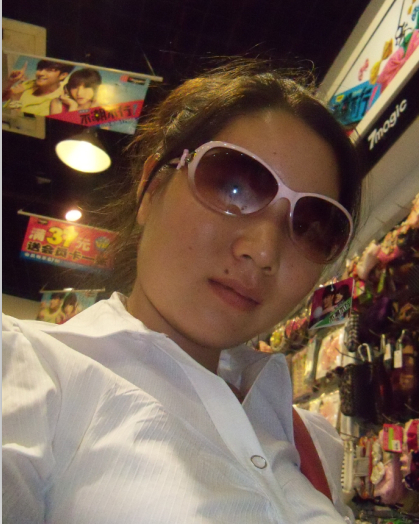 Mar2009-Feb 2014, worked in trading company as an interpreter and merchandiser.